Hope everyone has a great Thursday. Love the simple (yet unique) cut of the vest. Lovely. 1 more day - then WEEKEND time - FINALLY! 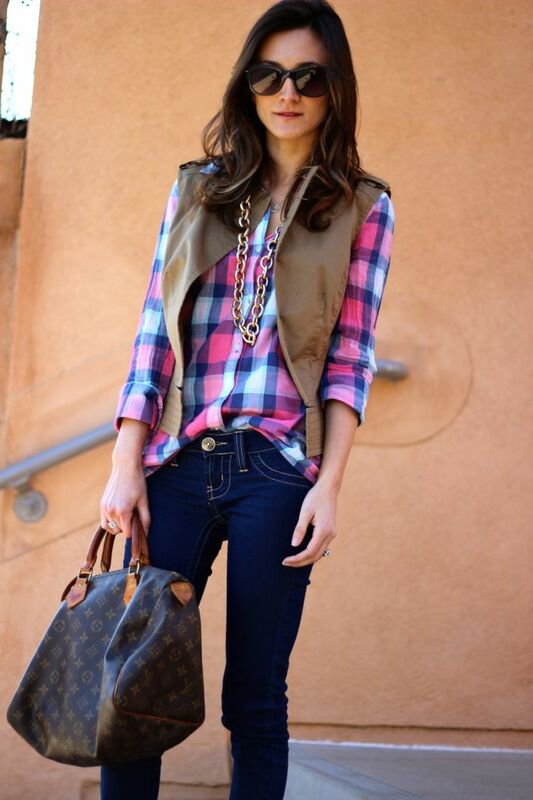 you're vest is so great!!!! the big band at the bottom is fun & the fact it's zipper free is pretty fantastic!!! simple & chic. love everything about this. is it friday yet? Love the flannel frankie! You look great in those hues! 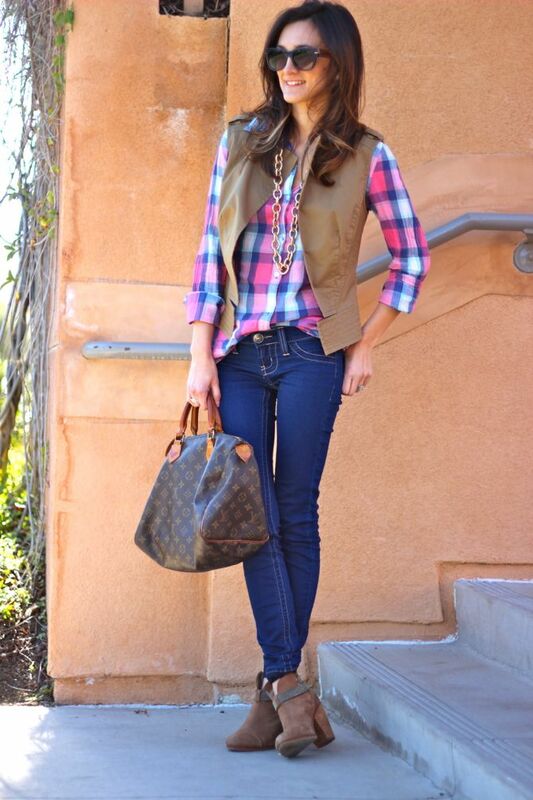 LOVING that vest!! that plaid totally pops under it. looking fab as usual lady! 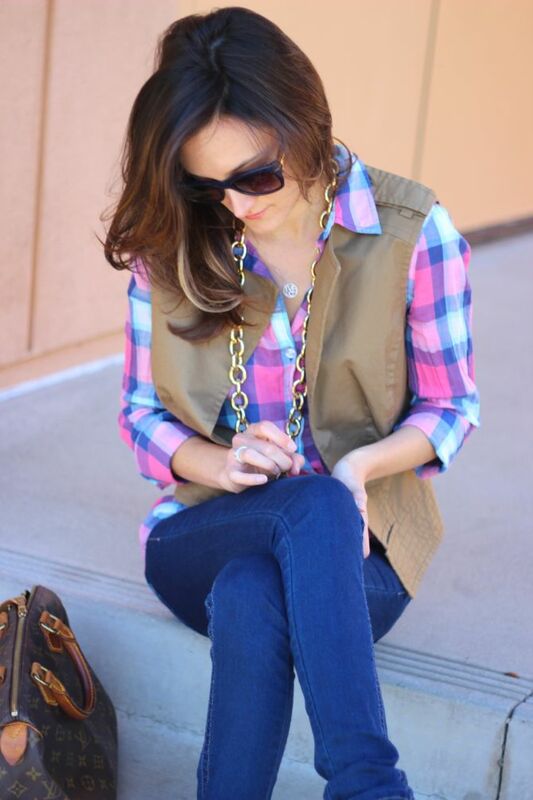 I love that pink plaid with the neutral vest! 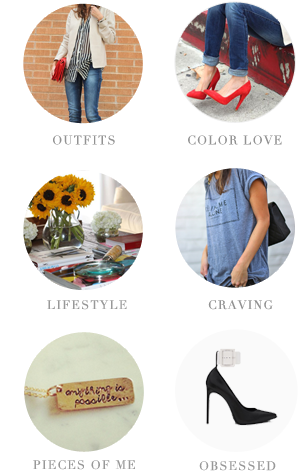 This outfit it entirely my style and I want to steal everything! Love the camel with the brights! 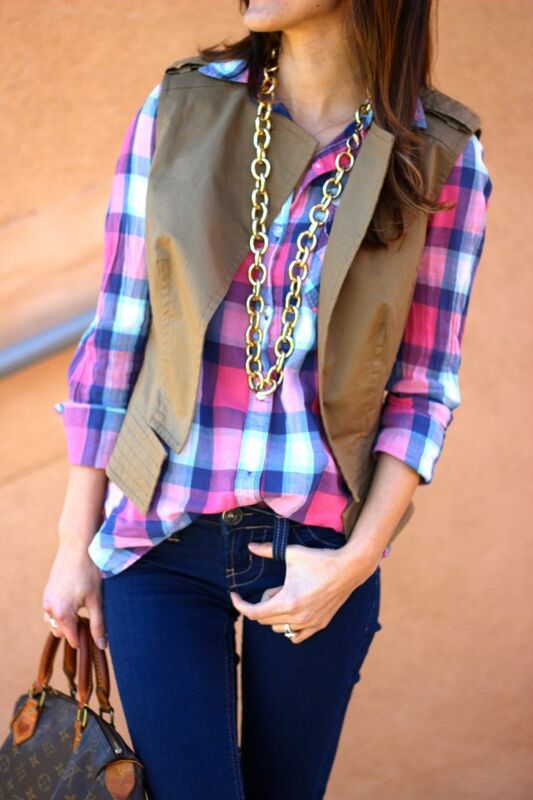 love the plaid with the caramel vest...great combo.. BUT seriously SWOONING over that chain necklace...tell me that you got it recently..PLEASE!!! Seriously..when/where did you get it...I love chunky necklaces like that and would love to have it in the old jewelry closet.